Our parish supports the important work at St Chad's Sanctuary. Each month we collect different items to enable the sanctuary to help those who come to them for support. Tinned Foods; Large bottles of oil; luggage on wheels; holdalls & rucksacks; Men's T-shirts, coats, jackets & socks. 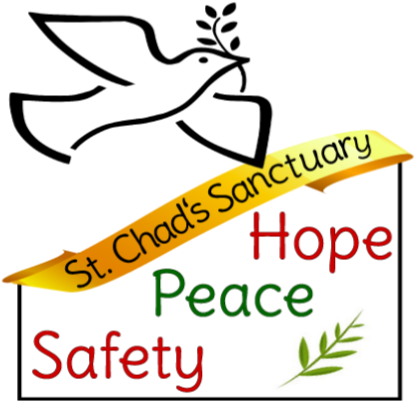 The Dupuis Centre will be open Saturday after the Vigil Mass & between the Sunday morning Masses for you to bring any items you would like to donate to St Chad's Sanctuary. We ask that you please do not bring items to the presbytery or leave them at the back of church at any time. THANK YOU for your support. For more information, please visit the St Chad's Sanctuary website.